At the YMCA of Pawtucket, we understand that swim lessons are more than just stroke development. As they learn to swim, children also develop endurance, self-confidence, and an appreciation for water safety. The Y staff works hard to create an encouraging atmosphere in the water, where each swimmer can learn and progress at his or her own rate and comfort level. All ages – from infants to seniors – can learn to swim. See our class offerings to find one that best fits your family’s busy schedule. For more information, call (401) 769-0791 or go to the member services desk in the lobby of the Y at 18 Federal St., Woonsocket, RI. Children and teens who are members at the Woonsocket YMCA can enjoy several fun learning activities that are part of our Summer Camp program. 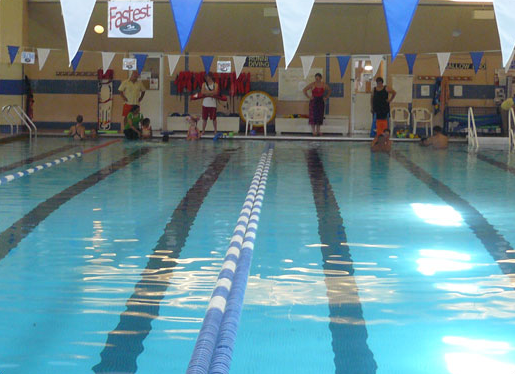 Woonsocket YMCA youth are provided with free transportation to the MacColl YMCA in Lincoln, R.I., which is surrounded by 125 acres of woods and features an Olympic sized pool. Campers can enjoy water activities in the facility’s indoor pool, take a splash on the water slides or spray park, or they could explore some of Rhode Island’s natural landscapes while on trails and hikes that are supervised by YMCA trained staff. Members can also take part in onsite camps, travel camps, specialty camps and teen camps. Help your kids foster important interpersonal skills, build character, and establish healthy, long-lasting habits through our traditional camp, which emphasize the basics of progressive swimming, sportsmanship, creative arts and team building. Our staff looks forward to helping your kids eventually lead successful, healthy lives by instilling in them the YMCA Character Counts Values. Through our program, campers will learn more about Caring, Honesty, Respect and Responsibility. Learn more about the Summer Camp program by visiting the Member Services Desk, or calling (401) 769-0791. A vital part of the Woonsocket YMCA’s extensive programming is its offerings for senior citizens. Silver Sneakers®, is a preventative exercise program that enhances the quality of life for mature adults across the country. Health Care Dimensions (HCD) developed the Silver Sneakers® Fitness Program over a decade ago, and it has since grown into the largest senior-focused exercise program in the United States. The partnerships between HCD and HMOs allow Medicare-eligible members of these health plans to participate in YMCA programs at no additional cost. In addition, senior citizens can participate in aerobics, spinning and yoga classes; move and groove to Zumba; use a variety of cardiovascular and weight resistance equipment; or reserve a time for a relaxing and therapeutic massage. For more information, stop by the member services desk or call (401) 769-0791.